A school of Blue Neons are a joy to keep, these delicate beauties have a gentle nature and vibrant color! The Blue Neon Cichlid Paracyprichromis nigripinnis made quite a splash in the late 1980's as a new cichlid introduction to hobbyists. This is one of the most unusual looking cichlids. While most cichlids have a robust look with many being very deep bodied, this cichlid has a long slender streamlined form. Both the male and female of this very peaceful cichlid are gorgeous, with the female being just a bit duller in color. This is a small elongated fish from Lake Tanganyika, Africa that only grows to about 4 inches at most. Its attractive appearance with bright blue or purple neon striping on a creamy orange body quickly led to its common names. It became popularly known as the Blue Neon, Neon Cichlid, and Neon Blue Cichlid. They can also be referred to based on their place of origin such as the "Kapembwa" and "Chituta Bay" varieties, and there is a captive bred albino form called the Paracyprichromis nigripinnis "Albino". There are only two species in the Paracyprichromis genus and the two have been repeatedly confused with the other. The other, Paracyprichromis brieni, is however confined to the extreme northern part of the lake. The Blue Neon also has larger eyes and a slightly rounder, stockier body. The Paracyprichromis species are very similar in shape to their close relatives in the Cyprichromis genus. All these cichlids look more like sardines so are dubbed Herring Cichlids or Sardine Cichlids in general. At one time the Paracyprichromis were classified as Cyprichromis as well. However they have a very different nature, a milder temperament, and there are physical differences These are much smaller fish and have a different arrangement and number of vertebrae. So with these unique features they were moved into their own genus, Paracyprichromis. The Neon Cichlid is similarly shaped to the Sardine Cichlid or Slender Cichlid Cyprichromis leptosoma. Differences with the Blue Neon are that it lacks the uniformity of its body color as found on the Sardine and it's also much smaller. In the wild the Blue Neons inhabit deeper waters but will tend to stay close to towers of jumbled rocks. The males will hang underneath rock shelves while the females will swim in large schools above. Years ago it was thought that these fish were hard to keep, but following simple procedures will result in an easy fish to keep. Their pleasant nature makes them a joy to keep in a community aquarium. They move slower than some of their fast swimming cousins, and prefer to be close to rocks. They must be kept with other peaceful cichlids or other friendly species for their own benefit. The best way to keep them is by themselves, which will allow them to breed easily with the offspring being safe from consumption. Several males can have harems within a 65 gallon tank. Watching them live openly with their fry is quite a sight. These are good fish for the intermediate and experienced cichlid keeper. In generaly they are easy to moderate to care for as long as regular water changes are done to keep water at optimal levels. However they prefer dim lighting and need rocks for security. These fish will swim upside down or vertically to be close to the rock surface. Males will stress out and fade in color if kept with companions that are too vigorous and without rocks structures and cave formations. Plants also help provide security for them. The Blue Neon Paracyprichromis nigripinnis was described by Boulenger in 1901. These fish are endemic to Lake Tanganyika, Africa. They are typically collected at Chituta Bay in Zambia, Msambu, and Kigoma in Tanzania. This species is listed on the IUCN Red List as Lease Concern (LC). Although it is endemic to Lake Malawi, it is widespread in the northern part of the lake and has no recognized threats at present. Other common names this fish is known by include Neon Cichlid, Neon Blue Cichlid, and Herring Cichlid. They can also be referred to based on their place of origin such as Paracyprichromis nigripinnis "Kapembwa" and Paracyprichromis nigripinnis "Chituta Bay" varieties, and there is a captive bred albino form called the Paracyprichromis nigripinnis "Albino". The Paracyprichromis genus with only two species, is a very small group of African Cichlids in the tribe Cyprichromini. The Cyprichromini tribe itself contains 2 genera and 7 species with most being endemic to Lake Tanganyika. These are small, elongated cichlids ranging from 4 - 5 1/2 inches (10 - 14 cm) in length. They are found above rocky dropoffs where they tend to form huge schools, often with several thousand individuals. They have highly protrusable mouths adapted for feeding on plankton in the water column, and tend to swim in a head down manner, sometimes even upside down. All species are mouthbrooders. These cichlids are found in several areas of the lake at depths between 35 - 140 feet (10.7 - 43 m) where they will school in groups of hundreds. They do prefer the security of rock structures and caves close by. Males will be found under rocky overhangs or in caves with the females swimming nearby. They feed on zooplankton in the open water above the rocks. Social Grouping: Groups - They are found in schools consisting of hundreds of fish. The Blue Neon has a slender elongated body with a slightly lyre tail and a highly protrusable mouth used to feed on plankton. The male will grows to about 4 1/3 inches (11 cm) in length with the females a bit smaller at just over 3 inches (7.6 cm). They have a lifespan of 5 - 8 years with proper care. This is a very attractive small cichlid. Males have a creamy orange to orange body, with neon blue to purple stippled lines that run vertically through their body. Their fins are a clearish yellow to lighter neon blue and outlined in the same neon blue to purple coloring as the stippled body lines. Females are a bit duller version of the males, but still very pretty. Juveniles are gray when born and cream by two months. Size of fish - inches: 4.3 inches (11.00 cm) - The male grows to a length of just over 4.33" (11 cm). Females are smaller, reaching just over 3" (7.6 cm). This is a fish best kept by intermediate and experienced cichlid keepers. It is a more peaceful cichlid, but will stress out and fade in color if kept with overly boisterous companions and without rocks structures and cave formations for security. 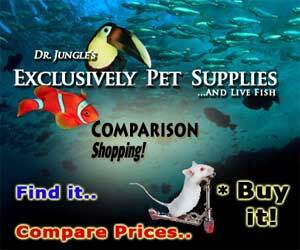 Its aquarium is easy to moderate to care for as long as the water is kept at optimal levels. The aquarists must be willing to provide a properly set up aquarium with appropriate tank mates, and be willing to do frequent water changes. The Blue Neon is a planktivore. In the wild they feed on drifting zooplankton in open water above the rocks. In the aquarium they can be be fed flakes including a high quality spirulina and frozen foods such as brine shrimp. Use foods with carotene to bring out their color. Feeding cyclops or artemia that will bring out their best colors, but once they get a taste for these they will usually ignore the flake. Do normal water changes of about 15 - 20% weekly, depending on stocking numbers. The Lake Tanganyika cichlids cannot handle large water changes very well unless the new water water chemistry closely matches the water they are in. If a large water change is needed, changing 15% every couple of days should bring water back to normal. This inability to tolerate large water changes is due to Lake Tanganyika being very deep and the water tends to stay stable. Water Changes: Weekly - Water changes of 10-20% weekly are suggested, only do more if the water parameters are off. Be cautious of doing more frequent changes as these fish are very sensitive to new water. The Blue Neon Cichlid is active and will swim mostly in the middle areas of the aquarium. A minimum of 65 gallons is suggested, with to 80 gallons being best, as they do shoal. They do fine in either freshwater or brackish freshwater but need good water movement along with efficient filtration. Lake Tanganyika is a very oxygen rich lake so bubblers need to be going day and night, even if there are plants. Regularly check nitrates and ph, nitrates should be no more than 25 ppm and a pH less than 7 is not tolerated. In addition keep an eye on total hardness and carbonate hardness. Avoid overfeeding and overstocking. To keep them successfully, they must have peaceful tank mates, rocks and cave formations, and plants. Provide a sandy or small gravel substrate along with some decor, but make sure there is open area at the top for them to swim. The dark colored rocks help to bring out their colors, and if denied rock structures the males will fade to a bland beige color. Lower light levels are preferred, so keep this in mind when using plants. Some good plant arrangements include Cryptocoryne in the foreground, in the middle ground use rosette Plants such as swordplants that are the larger variety,nd the very back can have water ferns. Float plants for brooding females will help to darken the tank a little and increase their feeling of security. Using Aqua-glo lights will bring out their colors as well. Minimum Tank Size: 65 gal (246 L) - A minimum of 65 gallons is the suggested, with 80 gallons or more being better as this is a shoaling species. Breeding Temperature: 77.0° F - Breeding temperatures range between 77 - 82.4° F (25 - 28 C). The Blue Neon is a peaceful community cichlid. They are very peaceful toward other fish and their gregarious nature allows them to be housed with non-cichlids. They will work with Featherfins or sand dwelling Lake Tanganyikan fish. Some have kept them with Xenotilapia sp. and Ochrogenys ndole since they occupy different parts of the water column and do not bother each other. Do not house with Cyprichromis, Tropheus or other large or aggressive fish. Besides dietary differences, they will out compete with the Blue Neon for food. Having aggressive fish or other fish from the same genus will result in stress and the males not attaining their true gorgeous coloring. As they are a schooling fish, they need to be kept in groups of at least 10 to fair well. Several males can be kept in the same tank. Same species - conspecifics: Yes - A schooling species, they need to be kept in groups of at least 10, with more being better. Peaceful fish (): Safe - They are very peaceful, gregarious cichlid that can be housed with non-cichlid species. Males are larger and brighter in color, while the females are smaller and a bit duller. The Blue Neons have been bred in captivity and are mouthbrooders. For the easiest breeding, putting the Blue Neon in a species specific tank works best. If housed in a community tank, float plants so the females have a place to retreat when carrying the brood. The breeding tank should have neutral to slightly alkaline, medium hard water with to a pH of around 7 - 8.5, 10 - 15° dGH, and a temperature between 77 - 82.4° F (25 - 28 C). They spawn about once a month. When ready to spawn, the female will find a spot in the substrate next to a wall and go nose down. This will prompt one of the males to situate himself above the female and release milt (sperm) as the female releases her eggs. The eggs are then fertilized externally. The female promptly picks up 10 to 12 fertilized eggs to carry her mouth. The brooding female will hold the young in her mouth for approximately 21 days and the fry will become free swimming after that. The fry are large and will grow quickly. As they grow the fry do not get the protection from the female, so be sure to provide hiding places. The parents and other males and females will not eat the fry. The fry will start to eat when free swimming. First feed them brine shrimp and cyclops and after 2 to 3 months offer finely crushed flake. They are a creamy color after 2 months and sexually mature by 8 months. See more about cichlid breeding in: Breeding Freshwater Fish: Cichlids. The Blue Neon is susceptible to typical fish ailments, especially if water is stale and of poor quality and oxygenation. An ounce of prevention is worth a pound of cure. Water changes, not overfeeding or overcrowding, and observation along with feeding your fish the proper foods (thawing frozen food and adding vitamins) will keep them in optimum health. For freshwater an optional practice is to add 1 heaping teaspoon of salt per 11 gallons of water. This is considered to be a simple and natural remedy for wounds, minor fungal infections and film over the eyes of fish in transit. Using a marine salt (used for salt water fish) will add some trace elements. The Blue Neon is only sometimes available both online and in fish stores, or may be special ordered. They start at about moderately expensive for juveniles and cost more for adults.